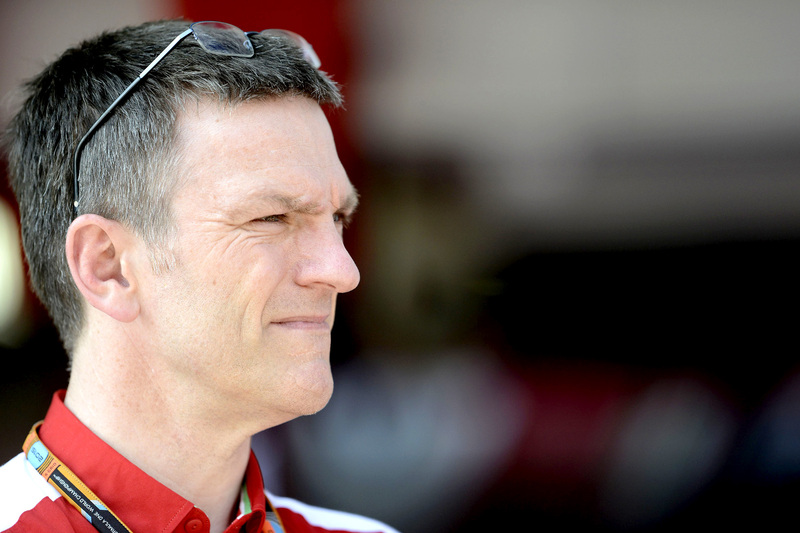 The Ferrari Formula One team has undertaken a mid-season switch of technical director after incumbent James Allison quit the job with immediate effect. Ferrari released a statement on Wednesday announcing the imminent split despite team principal Maurizio Arrivabene’s insistence last weekend in Hungary that speculation over his technical chief’s departure was baseless. “The team would like to thank James for his commitment and sacrifice during the time spent together and wishes him success and serenity for his future endeavours,” Arrivabene said via the press release. Allison had been praised for engineering Ferrari’s rapid turnaround in 2015 after the sport’s most famous team endured a dismal 2014 season under the then new power unit regulations, precipitating the resignation of Fernando Alonso, the departure of two team principals, and the axing of then Ferrari president Luca Montezemolo. The 2016 season was to be a year of consolidation, but the Englishman was struck by the sudden death of his wife in March, leading to the expectation that he would seek a release from his three-year deal to return to his homeland to be with his three children. “During the years I spent at Ferrari, at two different stages and covering different roles, I could get to know and appreciate the value of the team and of the people, women and men, which are part of it,” Allison said in his departing statement. Allison has been one of many, including Arrivabene and driver Sebastian Vettel, rumoured to be moving around or out of Ferrari as the team, in particular its president, Sergio Marchionne, seeks to remedy its lack of competitiveness this season. Marchionne, whose influence inside the team has been growing since becoming CEO in May, held emergency meetings at Ferrari’s Maranello headquarters after its disastrous outing in Silverstone three weeks ago returned just 12 points. Recent reports have also suggested Marchionne has been sitting in on technical meetings after repeated applications of pressure onto the team to win certain races failed to deliver expected results. The team’s last-moment change in technical personnel leaves it in a difficult position just six months before the 2017 cars, designed to a new set of technical regulations, will likely begin pre-season testing in February. Vettel, who was lured to Ferrari’s new regime at the same time Allison, rejected assertions that the team would find itself in trouble for 2017 after the sudden upheaval and amid perpetual speculation. “There will be a difference, but short term it doesn’t change much,” Vettel told the press on Friday in Germany. “I think Mattia has been in the team for a very long time so is very experienced and knows the team inside out. Ferrari’s drivers finished fourth and sixth at last weekend’s Hungarian Grand Prix to hold the team’s lead in the constructors championship over Red Bull Racing by one point.